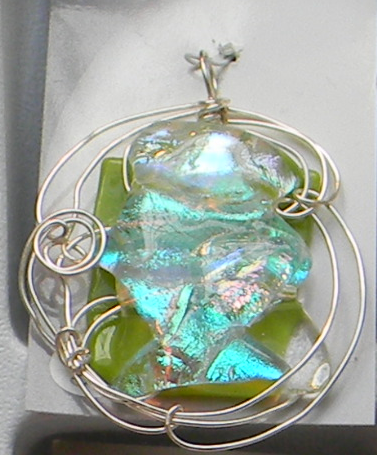 Wyoming Silvers creates art glass jewelry and some silver work. 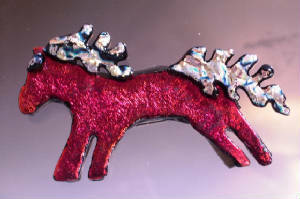 Each piece is one-of-a-kind, blown, fused and torch-work glass. Dennis creates lariat rope baskets and lariat clocks. He also creates the custom name rings. Each one is made with the customer’s personalization on a comfort fit stainless steel band. 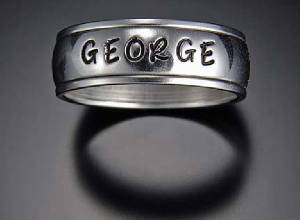 They are very reasonably priced at $35 which includes the ring and all the personalization. 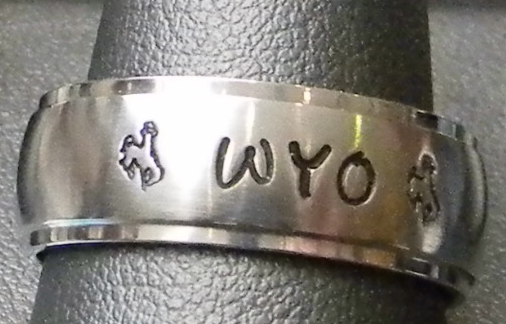 Wyoming Silvers recently received licensing to use the Bucking Horse and Rider logo on their line of personalized jewelry of rings, pendants or bracelets and happily will work with customer on custom pieces. They are made to order, and if purchasing at the Mall can pick up your ring the same day. Products ordered are generally shipped within 48 hours and the shipping is free to the customer. 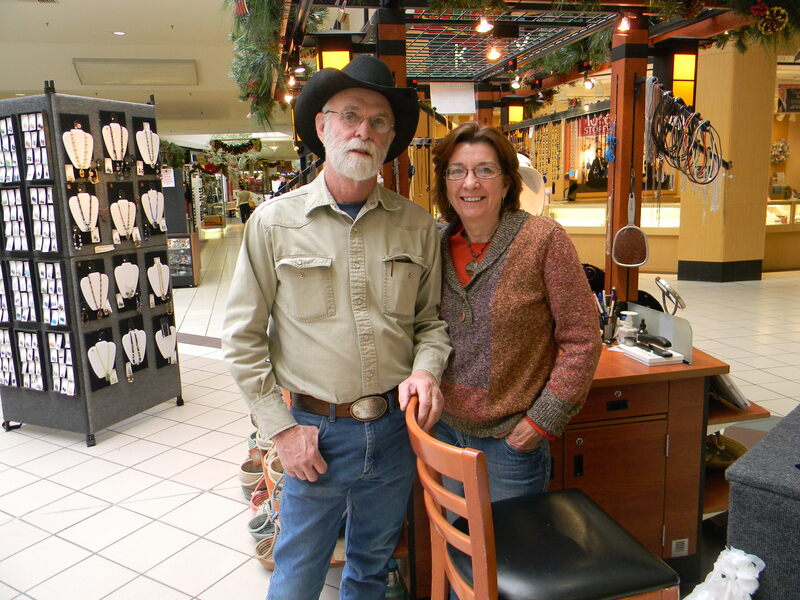 Normally, Wyoming Silvers’ products can be ordered via their website, however, this month they are in a kiosk in front of Christopher Banks and Kay Jewelers at Frontier Mall. Visit their web site or stop in at the mall, this is a great opportunity to own a handcrafted unique piece of art. Head to Meeteetse December 8 for Christmas in Meeteetse! Traditional holiday fun for the whole family. Contact their visitor center for more information! Kids! Come visit Santa at his house at City Park, Sheridan Ave (look for the reindeer!) — Free Photo & Candy Cane, Letters to Santa – Bring your letter to Santa or to the Santa House Mailbox. Dec 14 5-7:30 — Dec 15 11-2, 5-7:30 — Dec 16 1-4 — Dec 17 5-7:30 — Dec 18 5-7:30 — Dec 19 5-7:30 — Dec 20 5-7:30 — Dec 21 5-7:30 — Dec 22 11-2, 5-7:30 — Dec 23 1-4 Contact Cody Chamber for more info! 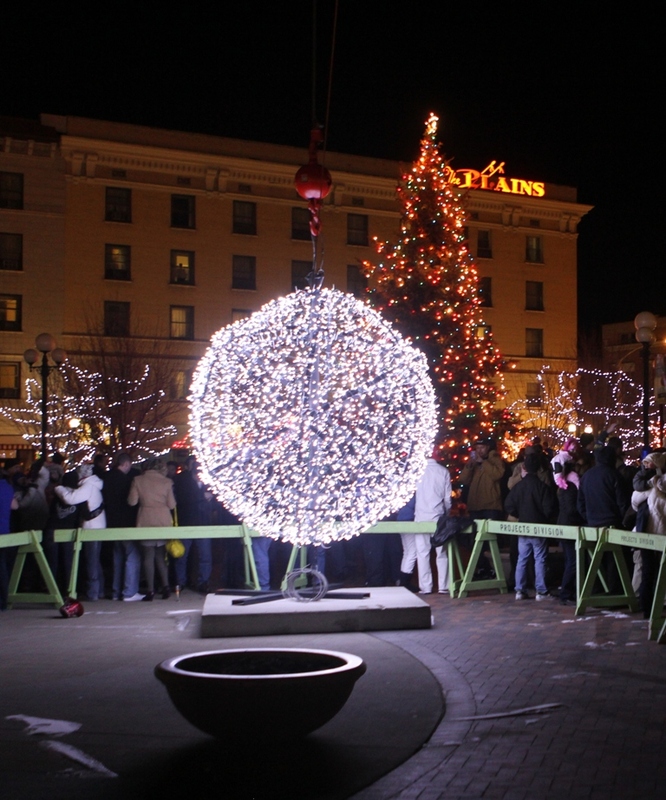 The holiday parade starts TONIGHT (December 7!) at 6 p.m. from the Boot Barn parking lot (SE corner of 2nd and Fremont) and heads south on 2nd Street, turns west (right) on University, proceeds west to 1st Street, turns south (left) and proceeds to Garfield Street. The parade then continues west (left) to 2nd Street, turns left (north) and returns to the Boot Barn staging area. Be sure to catch this fun and joyous celebration! 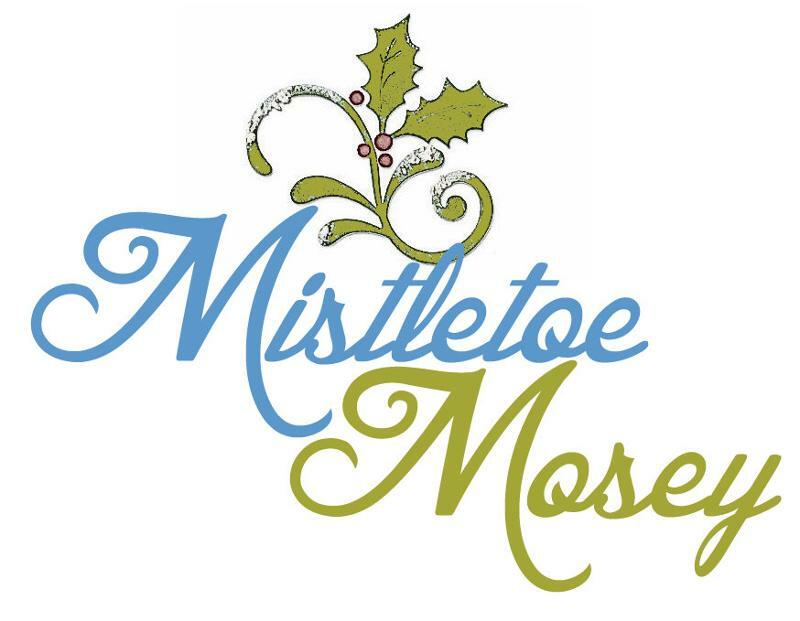 The third annual Mistletoe Mosey runs through December 22nd and is open to all members of the public. Here’s how it works. Shop downtown and purchase a pin with a unique number for $5 at any participating Mistletoe Mosey business. Then work on your holiday wish list downtown between now and December 22 and try to find your number. Winners automatically receive a $50 gift from the business where their number is posted and are entered into a drawing for $1,000 worth of downtown gift certificates. 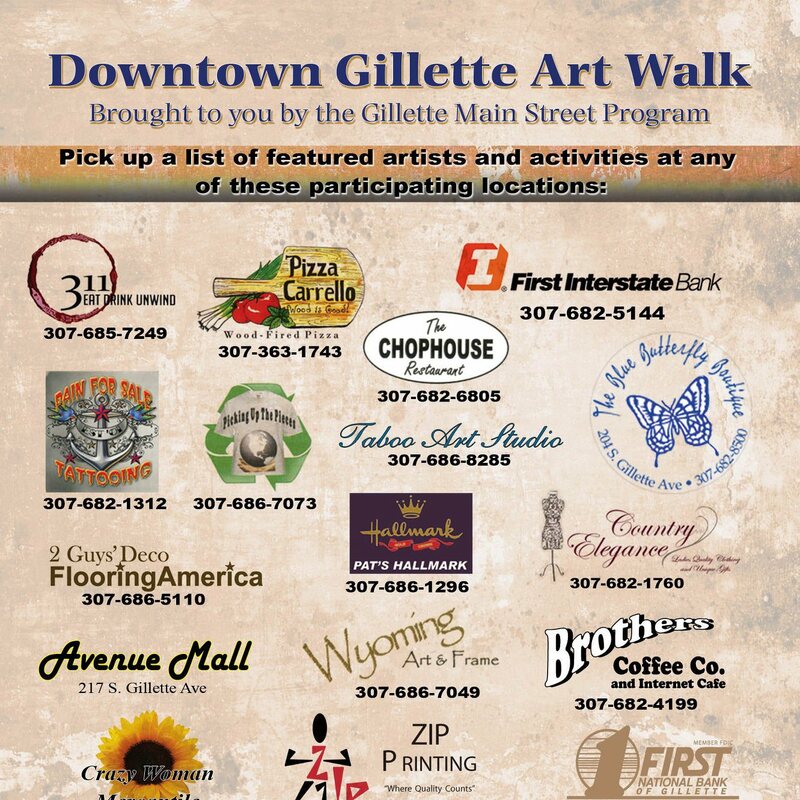 Gillette Main Street has a couple open spaces for Artists during our next Art Walk! (Next Thursday, Dec 13) Let them know if you are interested in showcasing your work! 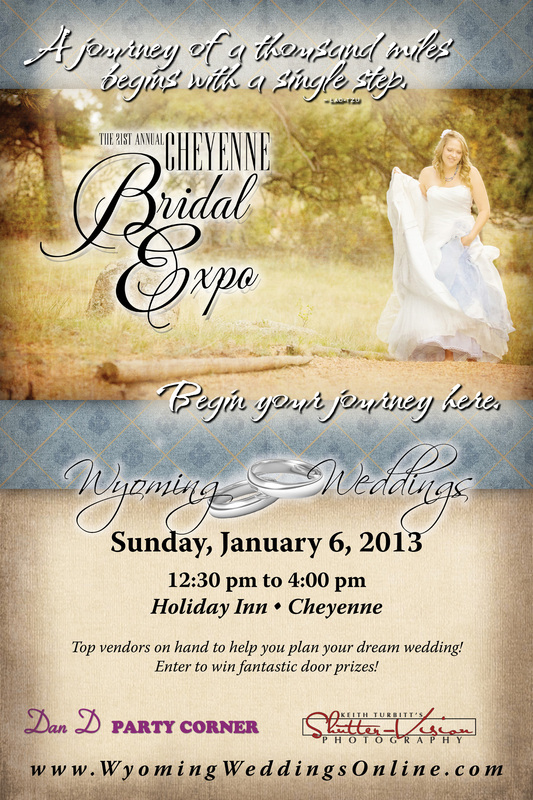 Call 307-685-1231 or email at gillettemainstreet@gmail.com. Jackson Hole Winter Wonderland, a weekend of holiday shopping and cheer, will be held Friday, December 7 and Saturday, December 8. Supported by the Jackson Hole Chamber of Commerce Business Development Committee, it will be a weekend to share with family and friends and experience the unique shopping within Teton County. One of the highlights will be the Dancers’ Workshop production of “If The Shoe Fits,” an original adaptation of Cinderella, at Jackson Hole Center for the Arts. Local shops will feature a magical holiday atmosphere and extended hours, until at least 8:00pm, just in time to shop for Christmas! Enjoy caroling, sleigh rides, cider, hot chocolate, and cookies in the glow of festive Christmas lighting. Find information about specific store hours at www.jacksonholechamber.com/retailers. For more information, please contact Rick Howe, Director of Visitor Services, rick@jacksonholechamber.com or 307.733.3316 x114. 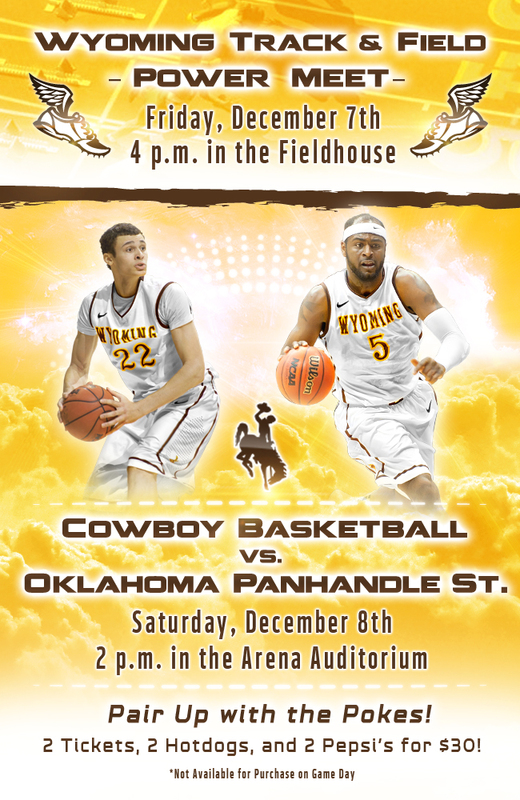 LARAMIE: Pair Up With the Cowboys THIS Weekend! 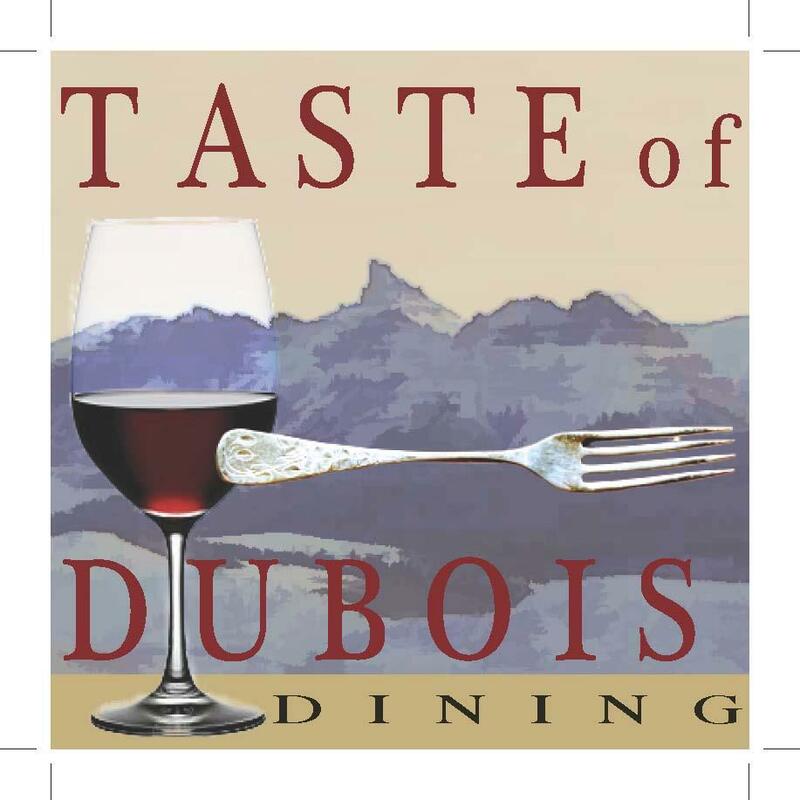 Dubois, WY – The first Dubois Main Street-sponsored Taste of Dubois, featuring a Victorian Christmas theme, is set for Saturday, Dec. 8 at Nostalgia Bistro in the historic Ramshorn Inn at 202 East Ramshorn Street in downtown Dubois. Nostalgia Bistro Executive Chef Shannon Chandler is preparing a multi-course menu featuring a slow-braised Snake River Farms pork shoulder with a hazelnut brown ale pork reduction and cheddar-sage bread pudding. The pork shoulder is provided by Sysco Intermountain. A Buffalo Jump Wines representative will provide wine pairings and pour wine during dinner. baked cod Cod filet rubbed with stone ground mustard, shallots and capers. Paired with roasted Yukon Gold potatoes. 14.
beef tips Marinated in a seasoned bbq sauce and grilled. Served with a side of sticky rice. 15.
pan seared pork loin Tender pork loin, braised in sage and spices. Served with creamy garlic mashed potatoes. 14.
italian sausage lasagna Layers of pasta, Italian sausage, mushrooms, black olives, spinach, ricotta and melted mozzarella cheese. Served with your choice of a small garden salad or a cup of soup. 11. The Gaukel family has been growing quality grains in the heart of Wyoming wheat country since 1914. The Gaukels are fourth generation farmers and ranchers. Kevin spends many hours of “tractor time” giving him great opportunities to think. It was during one of these trips around the field that an idea came to him! They were expecting their third child and needed to find a way to increase their revenue with the resources they had available. At the time bread machines were becoming increasingly popular. Kevin decided that they should offer their wheat in pre-packaged, convenient mixes directly to the consumer. 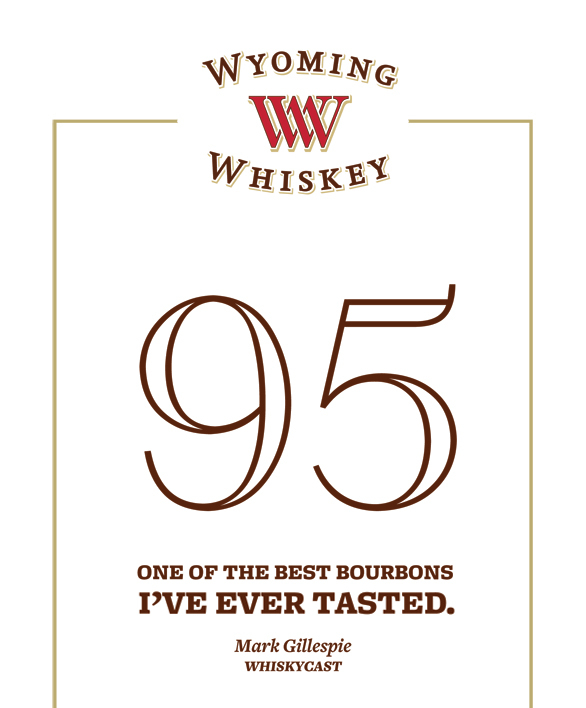 So in 1999, Gaukel Grown & Ground was established near Keeline, Wyoming, which allowed the Gaukels to bring their award winning grain straight from their Wyoming wheat field to your home. Today people are striving to lead a healthier lifestyle, and the Gaukels are helping them reach their goals. They stone grind their wheat, leaving it as healthful as the Lord intended. The Gaukels take pride in their all-natural whole wheat products, which stand apart from others by the way they are processed. Stone grinding leaves the wheat kernels whole allowing the wheat germ to be retained. This gives their whole wheat mixes a higher source of fiber and other nutrients. The Gaukel family not only plants and harvests their annual crop of wheat; they clean it, grind it, mix and package it. 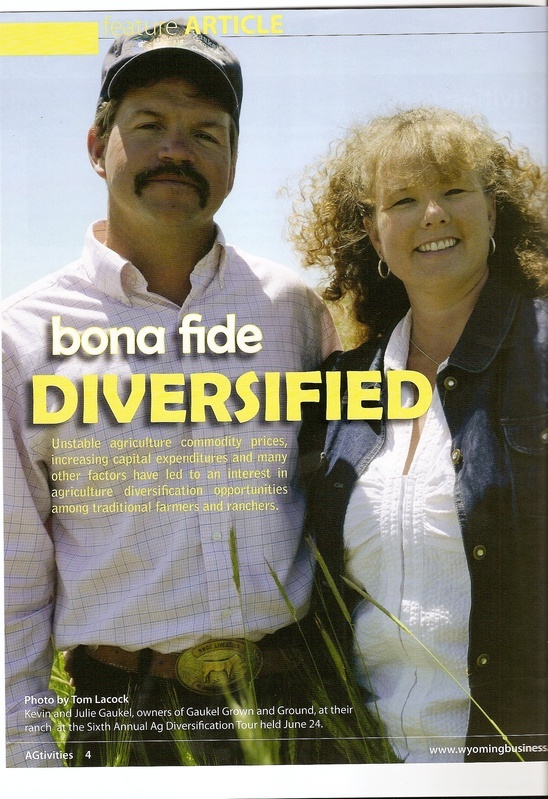 In 1999, Gaukel Grown & Ground began with only 3 products. Now the product line has expanded to offer 14 different whole wheat choices to meet the desires of your family as well as satisfying your gift giving needs. The following products sold individual or in 3 unique gift sets: Pancake Mix, Muffin Mix, Italian Herb Bread Mix, Multi-Grain Bread Mix, Wheat-n-Raisin Bread Mix, Whole Wheat Bread Mix, Doughnut Mix, Cracked Wheat Cereal, and Whole Wheat Flour. It’s convenient, prepackaged, and nutritious with a home-grown taste. Preparing stone ground whole wheat is a slow process, but it ensures a quality of flour that we are sure you’ll enjoy. The coarseness of the texture is determined by how far apart the two stones are set. They can grind cake flour fine or just pop the kernel open. Since very little heat is generated, all the nutrients come through. Gaukel Grown & Ground now offers two convenient packaging options. The Kraft bag with tin-tie closure is available for wholesale customers in the grocery industry, as well as for regular customers for their own personal consumption. 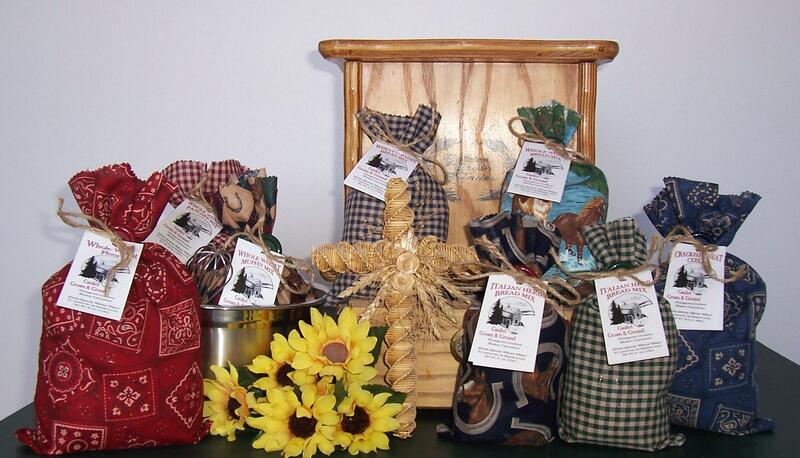 New to their packaging line is a hand-made cloth pouch, using coordinating country style fabrics. This packaging choice is available for wholesale customers in the gift industry, as well as for customers purchasing the mixes for special occasions. The Gaukel daughters, Kaitlin and Kylee, sew these unique, one of a kind, cloth pouches. 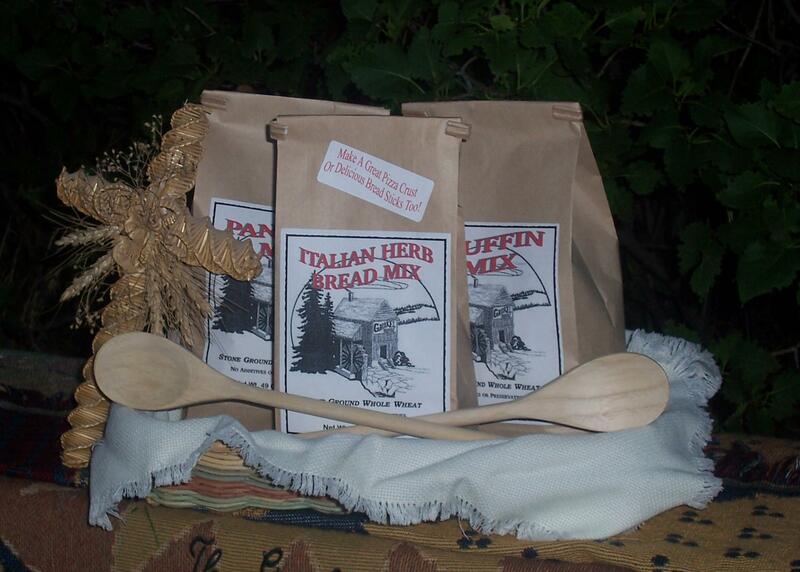 If you’re looking for a gift with country flair, try one of their “Bouquet of Flours” today! One of the gift sets are sure to be perfect for any occasion: thank you, birthdays, anniversaries, special holidays, house warming party, secret pals, hostess gifts, pastor’s appreciation, or a well-timed pick me up . . .
Our Daily Bread Bouquet – The best selling gift set! It features all 8 of their mixes served in a very stylish, yet practical, 8 quart stainless steel bowl with a large wire whisk. Breakfast Bonanza Bouquet – Four mouthwatering mixes served with the same touch of country in a 5 quart stainless steel bowl with a medium wire whisk – featuring our Pancake, Muffin, Doughnut, and Wheat-N-Raisin Bread Mixes. Build Your Own Bouquet – You choose the arrangement of “flours”! Select from any 3 mixes (some exclusions apply) in a 3 quart stainless steel bowl with a small wire whisk. Enjoy Gaukel Grown & Ground’s home grown goodness and modern convenience. 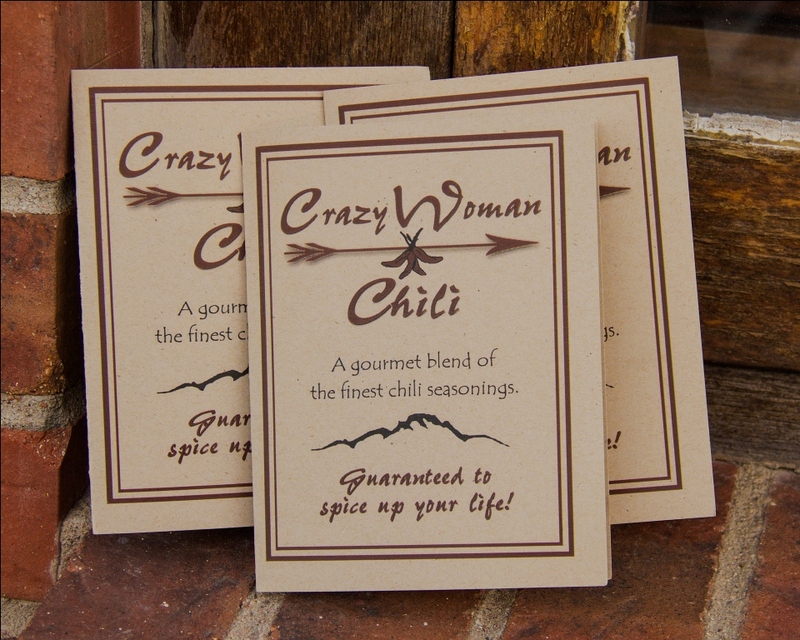 Look for their products in specialty shops and grocery stores throughout the nation. They direct ship for all your holiday and gift giving needs! They’ll even include a gift card expressing your personal sentiments. 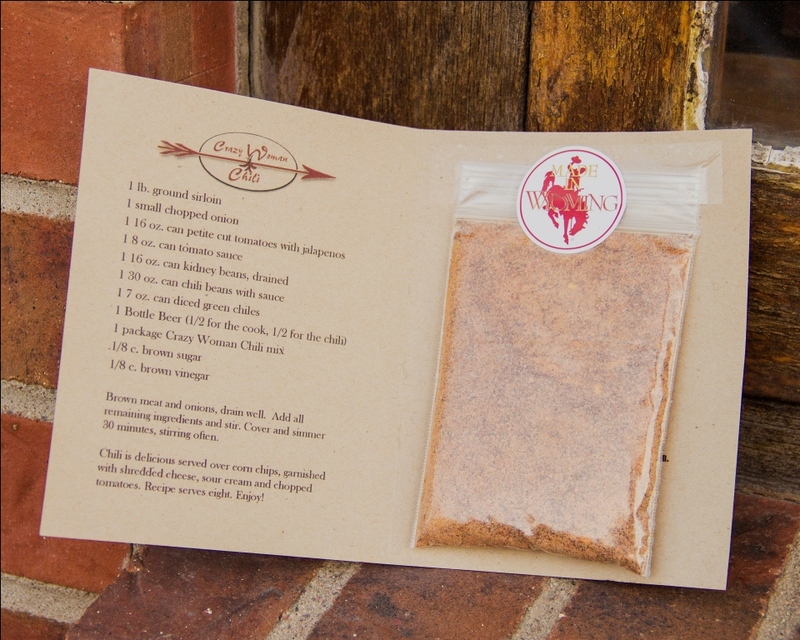 Gaukel Grown & Ground products are currently not available in Cheyenne, but they certainly would love to be. People can go to their favorite grocery or gift shop and ask them to begin carrying their product line today! Gaukel Grown & Ground’s focus is actually two-fold. They strive to provide quality whole wheat products to their customers while educating America’s youth about the importance of agriculture. 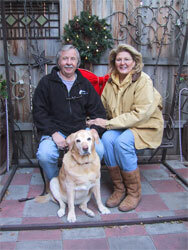 The Gaukels reach their minds and their hearts through “Living Classrooms”, Ag Expos, and national speaking engagements. Since its inception in 1999, Gaukel Grown & Ground has cooperated with the Niobrara County Cattlewomen and the Niobrara County School District to provide agriculture education to the youth in the area. 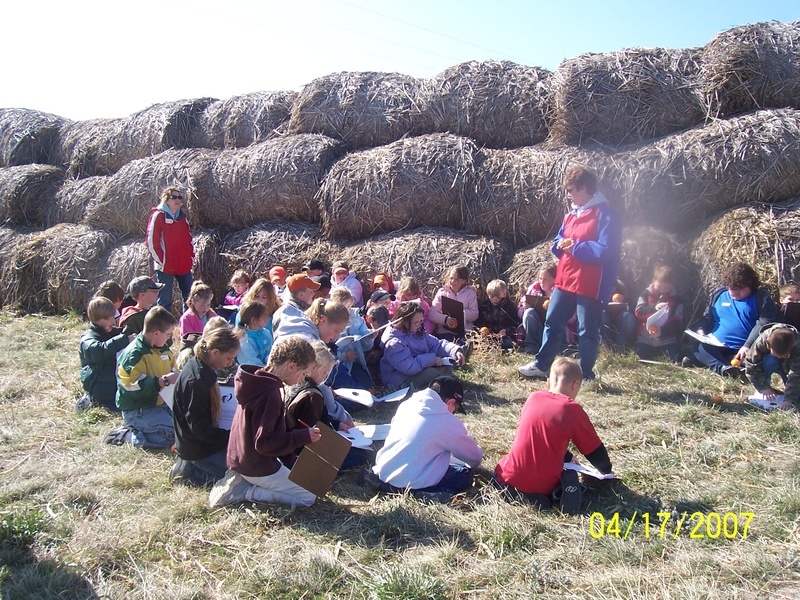 Annually, the Niobrara Cattlewomen host an Ag Exp for the 4th and 5th grade students, and Gaukel Grown & Ground participates to educate children in the basics of food production. The Gaukels also host a tour of their ranch for 3rd and 4th graders. They turn their ranch into a “Living Classroom” with sessions focusing on sustainable agriculture, conservation of land and resources, and urban and rural partnerships to name a few topics. Students see first-hand how wheat is grown, processed, and turned into a variety of foods. 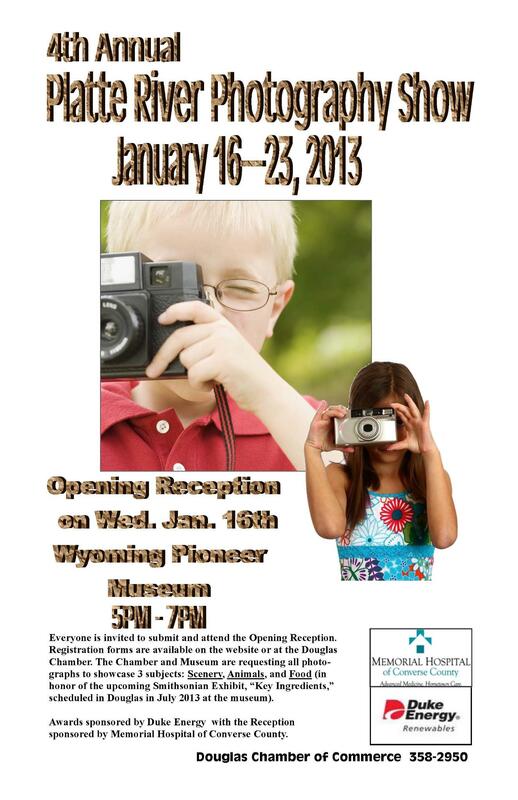 The Gaukels have hosted school districts throughout Wyoming for this one of a kind learning experience! 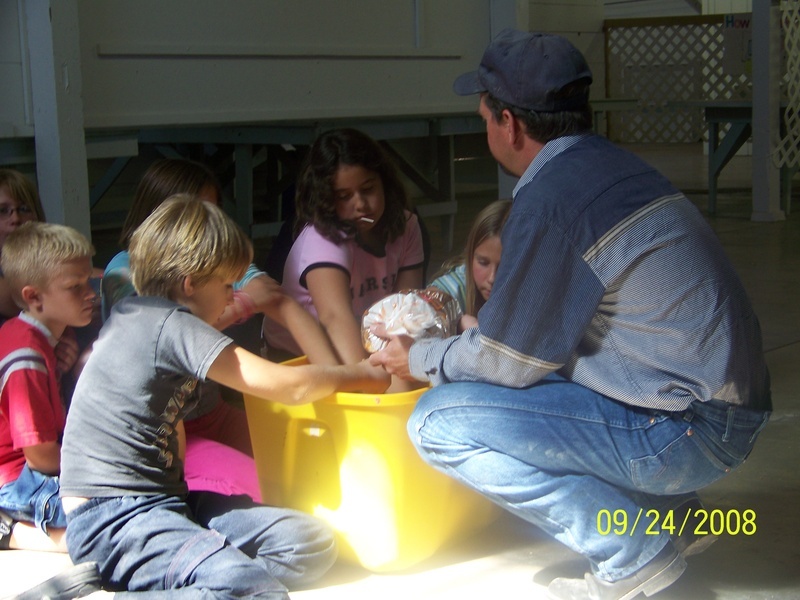 In, 2006, they also began teaching workshops during the Black Hills Conservation Camp located at Mallo. 2007-State, Regional, & NATIONAL Home-Based Business Champion of the Year! After winning the Wyoming title, Gaukel Grown & Ground was named the United States Small Business Administration’s 2007 Region VIII Home-Based Business Champion Award winner. 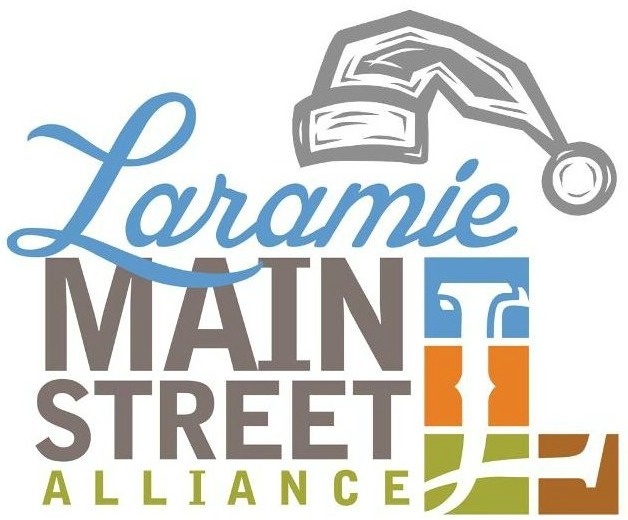 They were selected from amongst an elite group of entrepreneurs and community leaders representing Colorado, Montana, North Dakota, South Dakota, Utah, and Wyoming. They were fortunate to then advance to win the NATIONAL title!